Pierre Marquès (Béziers, France, 1970) has lived in Barcelona since 1998. Since 2007, he has been working on an immense series of paintings entitled “Mon manège à moi”. 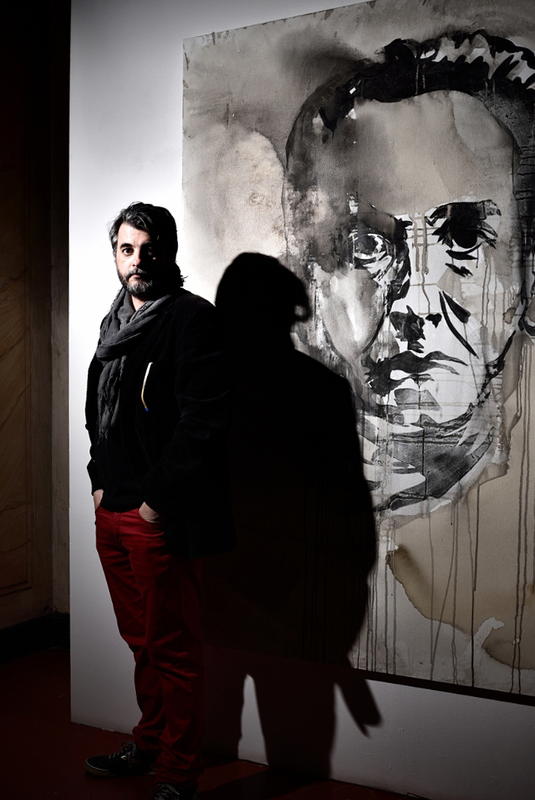 His work includes paintings, stencils, classical drawings, visual poems, photographs and videos. Today he continues to play with his Kalashnikovs while preparing a retrospective in Barcelona (Centre d’Art Santa Mònica, Generalitat de Catalunya, October 2013) and a show in Paris (Scrawitch - Galerie 6bis). He has just completed a graphic novel, “Tout sera oublié”, in collaboration with Mathias Énard, which was published by Éditions Actes Sud in March 2013. His most recent work is primarily based on historical memory: he has several projects underway, including books, paintings and video installations that will be shown at the Centre d’Art Santa Mónica in Barcelona in 2013.